MAYOR Keith Campbell was the guest of honour at Kingaroy Bowls Club's 80th birthday celebrations last week. Speaking at the luncheon, Mr Campbell recalled memories of his Father's time at the bowls club, and how the club had formed to become a social hub for framers in the area in years gone by. 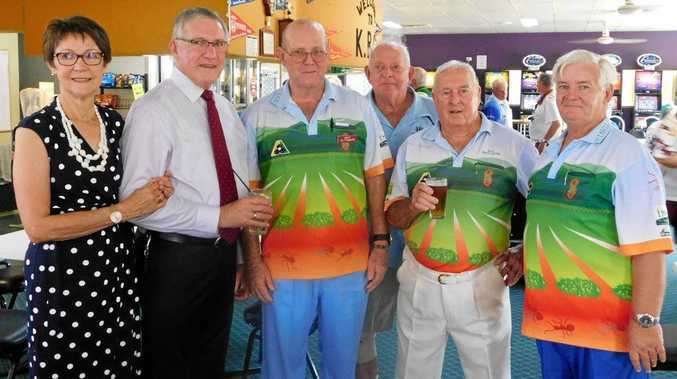 The club is believed to be the oldest bowls club in the South Burnett, with the idea first presented at a meeting of Kingaroy citizen and district farmers on December 10, 1935. Inaugural president, Mr W.C. Hervey, was elected two weeks later alongside a full committee of vice presidents, treasurer, secretary and greens director. By January 1936, the plans for the first greens had been drawn up and construction set to start as soon as funds became available. An application to council for £1,000 was rejected the following month, however by June land was acquired in Youngman Street and construction recommenced. On February 14, 1937 the Queensland Bowlers Association officially opened the six-rink green, and on March 2, 1937 the Kingaroy Bowls Club was officially opened with 60 inaugural members on the books. By October 1938 the Ladies Bowls Club was formed. At its peak, the Kingaroy club hosted 240 members in the mid-1980s, however membership as declined in recent years. Representing the Burnett District Bowlers Association, Mr Tim White presented club president John Lacey with a framed 80th birthday certificate. The birthday cake was ceremoniously cut by the oldest club member - female club patron Mrs Bess Thorpe. At 97 years of age, Mrs Thorpe is still a handy contributor on the greens, helping her team to third in the Birthday Carnival. 18 teams from as far as Burrum Heads and Bribie Island competed in the carnival, with Nanango Bowls Club's Henry Bliesner, Sharon Yeates, Sue Tucker and Glen Yeates taking the honours. 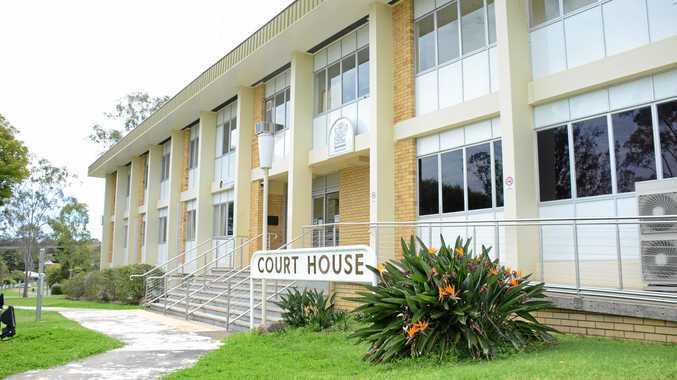 Crime This Murgon man had to face the consequences of his drunken actions. How much rain did you get over Easter? News Friday morning was the coldest all weekend. News Anzac Day morning will be a cold and foggy one.